It features a 5.7-inch 1440 x 2560 Super AMOLED display powered by Qualcomm Snapdragon 821 processor with 8GB of RAM and 128GB of internal storage.At the back, it has a 23-megapixel main camera with a motion-tracking camera and a depth-sensing camera that supports Tango’s AR capabilities. It also comes with a new “immersive” five-magnet speaker that supports High-Res Audio and DTS virtual surround sound and 8MP front camera. Dual SIM device runs on Android 7.0 Nougat. Tango is an augmented reality (AR) platform that combines camera, gyroscope, and accelerometer to estimate six degrees of freedom motion tracking, providing you the ability to track 3D motion of a device while simultaneously creating a map of the environment. Connectivity options include 4G VoLTE, WiFi 802.11 ac5 GHz 2×2 MIMO, Bluetooth 4.2, GPS, USB Type-C. Asus Zenfone VR Packed with a 3300mAh battery. 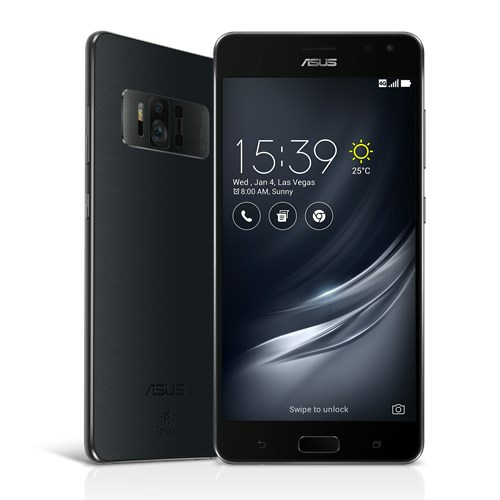 Asus Zenfone AR comes in Charcoal Black color with leather finish priced at Rs 49,999 and will be available exclusively on Flipkart starting 4 pm today. It comes with some launch offers including Rs 2,500 discount on the Google Daydream View VR headset, no cost EMI up to nine months and 100GB of free data for Jio Prime users.